Happy Tuesday guys! For this week's "Tasty Tuesday" post I thought I'd share one of my all time favorite pasta recipes. 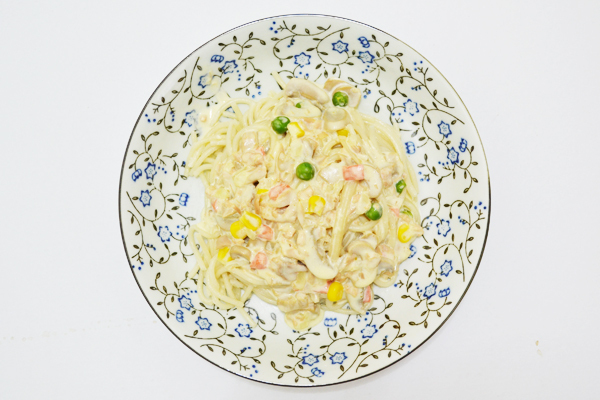 Spaghetti Carbonara is probably one of the most popular Italian pasta dishes — especially here in the Philippines. Normally, people use bacon and/or ham when it comes to making this recipe but this time I thought I'd try something new and use tuna instead. 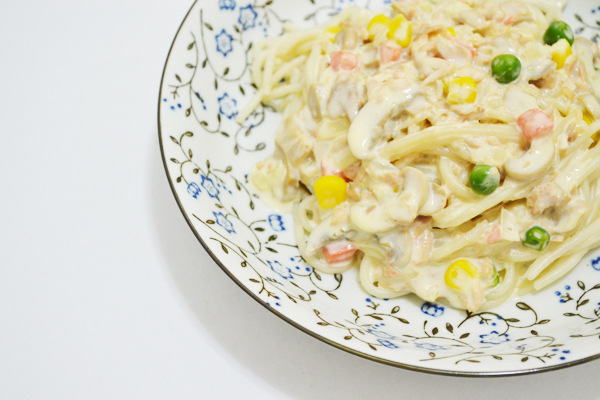 What I really love about this recipe aside from its very rich and satisfying creamy sauce is the fact that it is very quick and easy to prepare. 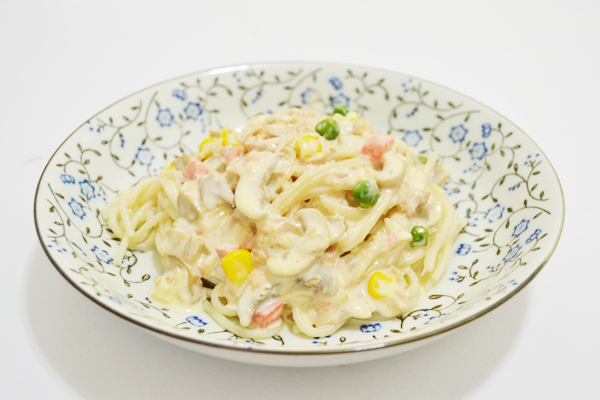 Hope you guys like my version of the "classic" Carbonara recipe! Bring a large pot of salted water with a bit of oil to a boil, add pasta and cook according to package instructions, about 8 to 10 minutes or until tender yet firm (al dente). Drain the pasta well. In a medium size sauce pan, in medium fire, melt the butter together with oil and saute onion and garlic until tender and then add mixed vegetables (optional) and mushrooms — stir fry until the sides of the mushrooms are seared and a little brown. Add the canned tuna and stir fry for about 2 to 3 minutes more. Add a pinch of salt and pepper to taste. Put the egg yolks into a bowl, add the cream, evaporated milk and 1/2 cup of grated cheese, and mix together with a fork until combined. Pour the mixture in the sauce pan — stir and simmer until the sauce boils and becomes thick. Toss to combine the sauce and pasta together. 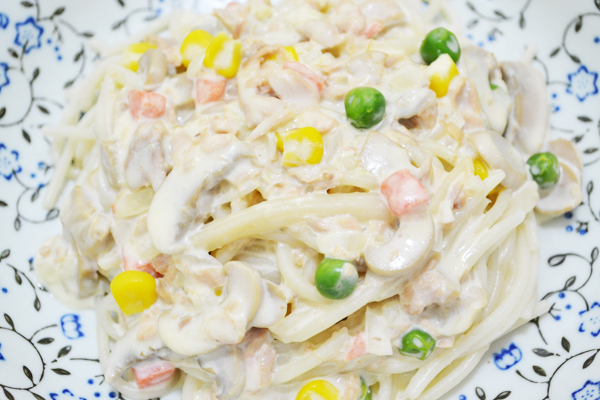 Spoon the pasta into serving bowls, and sprinkle additional cheese on top. Enjoy!